Making smiles in Greater Seattle Area since 2012. We have been delivering top-quality dental care to patients in the greater Seattle, Washington area for over a decade. From his welcoming practice, Krumly Dental Care, he offers a full scope of cosmetic, restorative, prosthodontic, and general dentistry services, including Invisalign®, traditional orthodontics, dental implants, root canals, veneers, crowns, bridges, teeth whitening, as well as checkups and cleanings. Dr. Krumly is committed to providing superior preventive and restorative treatments while ensuring every patient is comfortable and at ease. 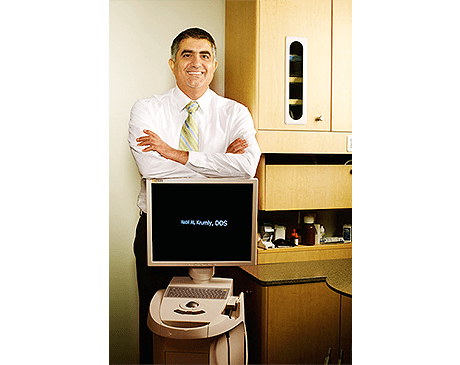 In addition to designing beautiful smiles, Dr. Krumly is praised by patients for his gentle touch, willingness to explain procedures and create a relaxed environment that puts even the most dental phobia individual at ease. Dr. Krumly earned his doctor of dentistry degree at the University of Minnesota-Twin Cities. He is currently accepting new patients. Whether you're in need of general dental care or multiple restorative procedures, Dr. Krumly and his first-class team are ready to help. Call to book an appointment today.